Arizona Roof Rescue » Blog » Questions That Reveal If You Are Dealing With A Trustworthy Roofing Contractor! Questions that reveal if you are dealing with a trustworthy roofing contractor! Are you thinking about hiring a roofing contractor for your Mesa, Arizona home or business? It is not wise to just jump at the first roofing contractor you find, even if they have some good reviews. When considering a roofer, you should be prepared to ask them some serious questions. If any answer given seems unsavory or untrustworthy, there is nothing wrong with continuing your search. Roof repair and installation is an expensive investment and you deserve to have a job done properly. If you hire an unsavory roof repair company or roofing contractor to install your new roof, the problems you could face down the road could be incredibly expensive and damaging to your commercial business’ success. Are you licensed to be a contractor? This should be clear, but be sure to ask. Also verify that their license is up to date and does not have any serious violations. Do you have membership with the Better Business Bureau? The Better Business Bureau is an incredibly trustworthy source when trying to find a good roof contractor (or anything business or service-related). If a contractor is not registered with the BBB or has a low rating, you really do not have a reason to work with them. There are guaranteed better businesses out there. Do you have any customer reviews anywhere on social media? If there’s one thing you can usually trust, it is the approval rating of verified customers. Customers do not just band together to run a business into the ground for no reason. If a roofer has a track record of doing a very poor job, there are likely angry customers somewhere on the internet name-dropping them and being as detailed as possible about their grievances. Can I have the address to your headquarters or office? This seems like an odd question, but it can really paint a picture of how dependable a roofer actually is. If they do not have an office, do you believe they will be available to assist you if something goes wrong with your roof installation in the future. Renting an office is pricey, but it shows how professional a roofing contractor really is. How long have you been roofing? Have you worked under a different company name? A company that has changed their names consistently more than one time has not done so just because they were feeling creative. A bad unsavory business will have such an awful reputation that they cannot find anymore business, so they will start over with a new company name and probably no fresh integrity or desire to improve. Do you have any references? This seems like an odd thing to ask outside of a job interview, but references are as important as customer reviews. Even if their list is very short, that is more trustworthy than a falsified list of references or no references at all. Can you tell me about your carried insurance? If a roof contractor is not insured, run the other way! Not only is this unprofessional, it is downright irresponsible. A respectable roofing contractor will have liability insurance worth six or seven figures. Do you utilize subcontractors? Make sure your contractor is clear about their subcontractor practices. Be sure to ask them if their subcontractors are insured. Protect yourself with lien waivers in case the contractor you’ve hired does not pay the subcontractors they have hired. It can get messy. All of these questions should make it clear whether the roof contractor you are dealing with is worth employing. Luckily, there are many great roofing contractors out there, such as Arizona Roof Rescue. Does Arizona Roof Rescue have good answers to all of these questions? Yes! Arizona Roof Rescue is licensed, insured, and professional. 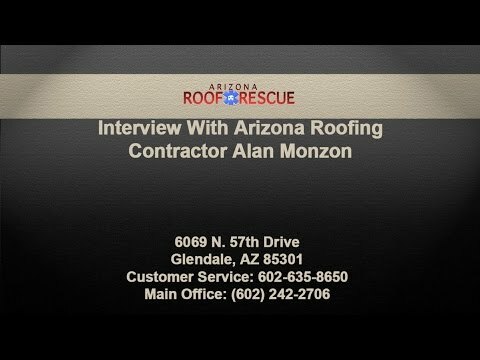 Arizona Roof Rescue has great references, fantastic reviews on social media, an actual address for their office, and a five star approval rating from the Better Business Bureau. Arizona Roof Rescue is a great contractor that can help you with your full service roofing in Mesa needs and is especially helpful when it comes to roof maintenance and repair. Call us today! Home » Blog » Questions That Reveal If You Are Dealing With A Trustworthy Roofing Contractor!